And unlike a traditional Thanksgiving dinner, Friendsgiving is the perfect time to have fun with chic, modern party decor. I do love traditional harvest decor, but I also love the idea of a bright, colorful, and sparkly Friendsgiving! 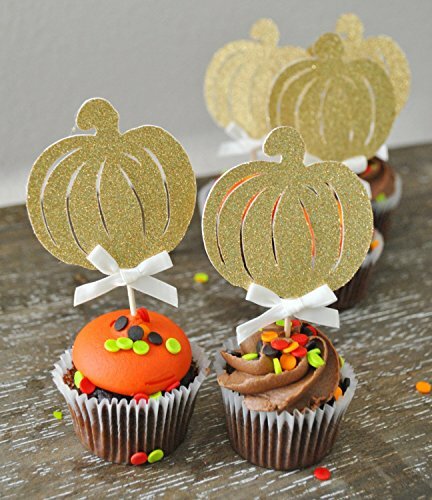 These Gold Glitter Pumpkin Cupcake Toppers are a great way to dress up your buffet. It's also a great way to decorate and create a holiday-themed dessert at the last minute. Some simple store-bought cupcakes instantly become cute and festive with these pumpkin cupcake toppers. The same goes with this pretty Friendsgiving Cake Topper by City Girls Crafty World. You can toil away at baking and decorating a holiday cake from scratch, or you can simply pick up any round bakery cake and give it an instant upgrade for Friendsgiving with this cake topper. City Girls Craft World has you covered with the decorations too! 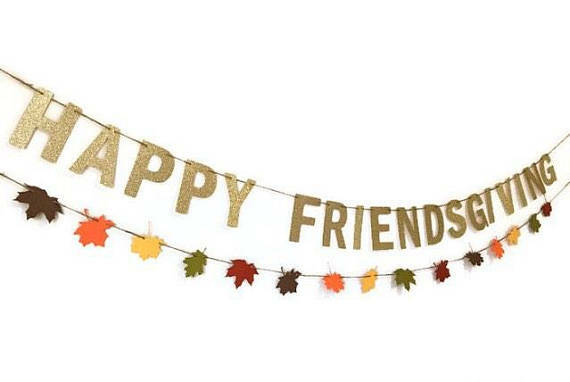 This glittery Friendsgiving Banner is a very chic and very easy way to decorate your space. 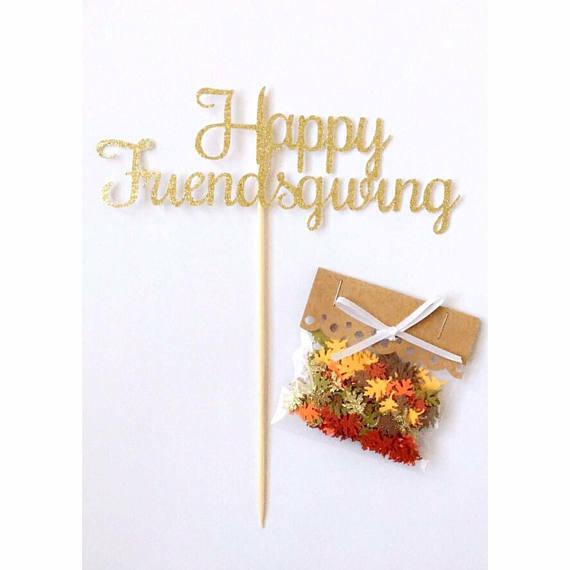 You can choose between glitter gold or glitter silver for the wording, and you may choose either ' Happy Friendsgiving ' or ' Happy Thanksgiving '. Pair it with some tassel garland and balloons, and your Friendsgiving decor is complete!! Of course every chic dinner party needs some pretty party food. Traditional Thanksgiving dishes can get a chic makeover simply by being served in bite-size portions. My mini Maple and Brown Sugar Pecan Pies are so delicious and very easy to make! You could even start with premade pie crust if you don't have time to make it from scratch. For small gatherings, I always suggest that it's best to skip on the complicated cocktails and serve one signature drink, preferably one you can make ahead of time. My Spiced Apple Cider Sangria is just the thing! You can make it in a crock pot and serve it warm, or make it according to the recipe and serve it chilled, in a large drink dispenser, so guests can help themselves. Wine and beer are always a great option as well. 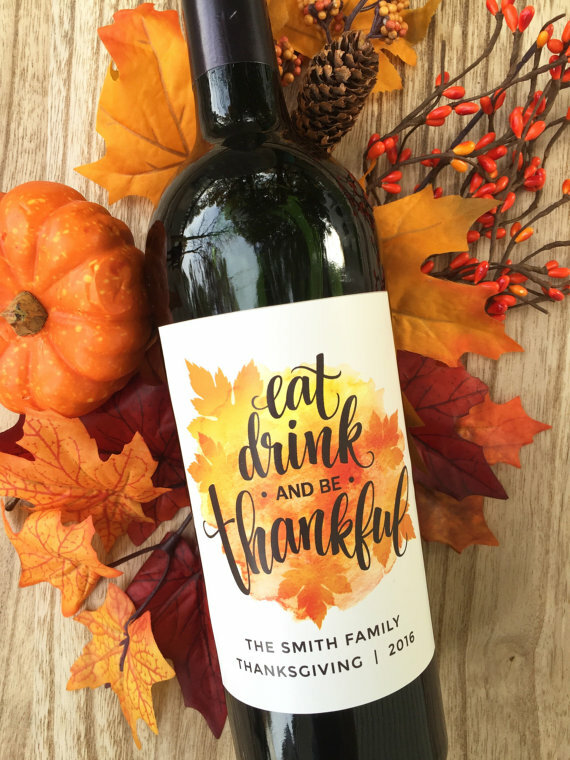 And with these cute Thanksgiving Wine Bottle Labels by Paprika Paperie, the wine can add to the festive decor. 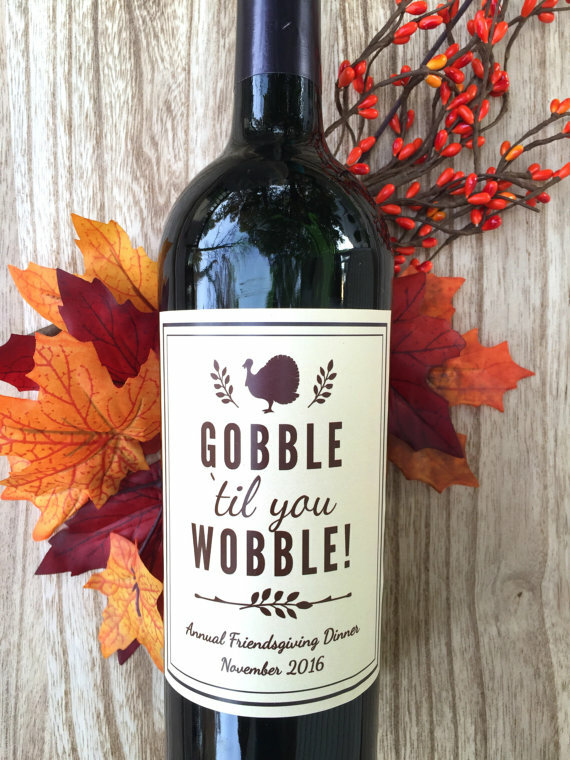 If you get it customized, like the Gobble Till You Wobble Wine Bottle Labels, it makes for the perfect Friendsgiving hostess gift! 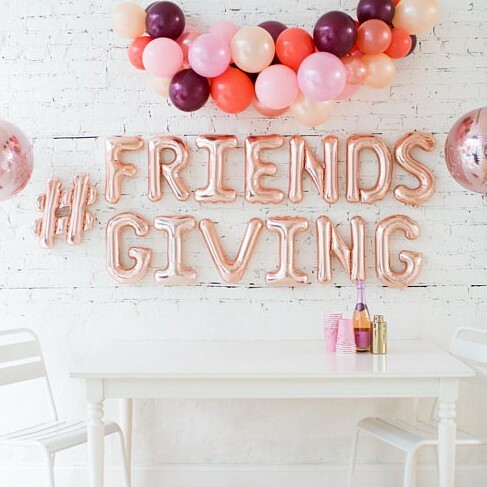 Do you plan on hosting a Friendsgiving this year? Let me know in the comments below! Sounds great!! I love all the inspo. Those mini pies look delicious! This is such a good idea! Those pecan pies and cupcakes look delicious! Amazing holiday idea! Thanks for the inspiration!